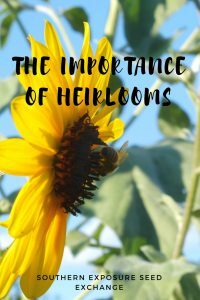 As we begin to plan and gear up for the 2018 season we’re reminded of the importance of keeping heirloom varieties alive. At Southern Exposure we define heirlooms as open pollinated varieties developed prior to 1940. While some believe that hybrids and GMOs are the answer to our current agricultural dilemmas we know that these old varieties hold incredible value and potential. As growers have shifted away from heirlooms we’ve seen drastic decline in crop diversity in the United States. Keeping heirlooms alive means increased diversity which in turn increases resilience. When you only grow one crop variety it only takes one problem to wipe out the entire crop. Planting multiple varieties helps to ensure your crops survival. A diverse source of food is also better for our health. You may have heard that you should always try to eat a variety of vegetables but that’s also true for specific varieties. The purple, yellow, green, and multi colored heirloom tomatoes all have different nutrients than the couple of red varieties offered at the grocery store. The same is true for other crops as well. As heirlooms have been handed down from generation to generation they’ve become adapted to specific places and climates. They’ve evolved natural defenses to certain diseases, pests, and weather patterns. 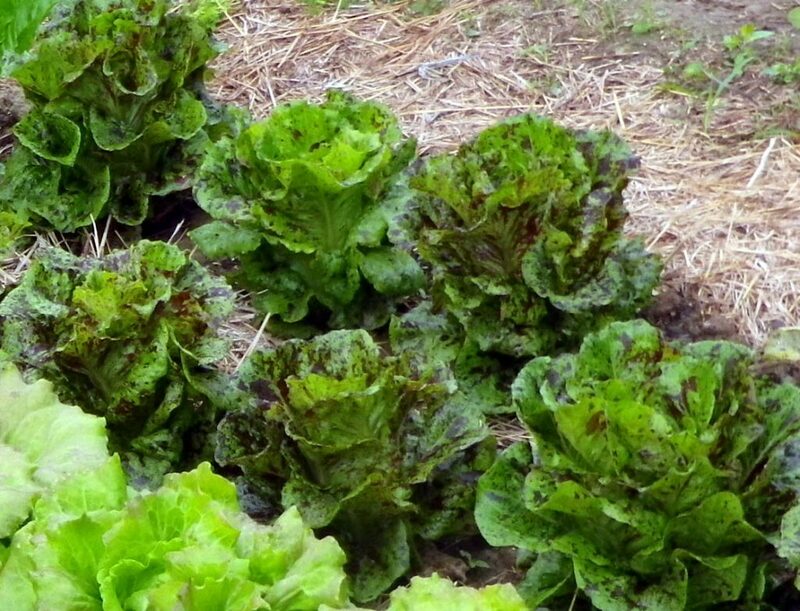 These defenses mean organic farmers and gardeners can beat their local problems without resorting to chemicals. They can also continue to adapt to different localities. If you save seed from your favorite corn variety year after year, always picking the best and most productive plants to save seed from you will adapt that variety more and more to your climate and challenges. Depending on who you talk to this may just be heirlooms best characteristic. Heirlooms are often the tastiest produce because seed varieties that didn’t taste great just weren’t saved. Heirlooms are those lovely varieties that were bred by small farmers around the world before they had to worry about choosing varieties that kept for weeks and weeks or shipped well. 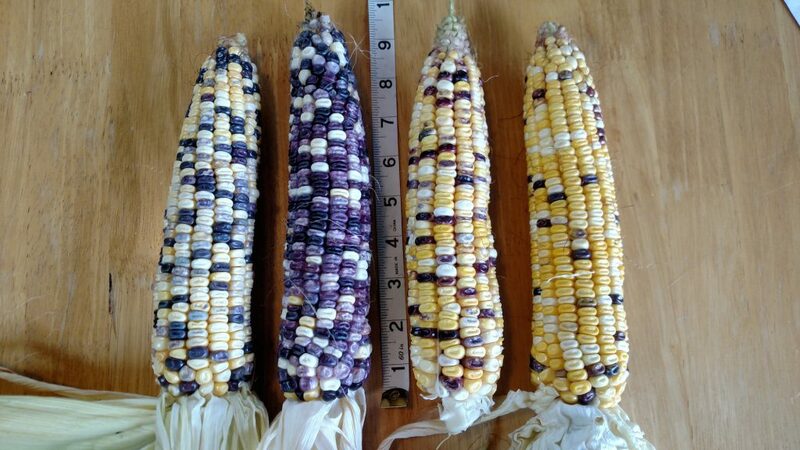 Each heirloom variety is a little piece of living history. They tell the story of the people that grew them and the place that they farmed. Keeping these seeds alive maintains a connection to cultural roots, ancestral ways, and the earth. Having a local food culture not only has an impact on the environment but on people’s health. If people once again had a tradition of growing and eating specific heirlooms they would be less likely to replace important customs with proccessed foods. The last great thing about heirlooms is that they allow farmers and gardeners independence. Because heirlooms can be saved from year to year growers don’t have to rely on big companies to supply their gardens each year. They’re financially independent. At SESE we believe these traits give heirlooms immense value. They’re important for growers that want independent, resilient farms and homesteads. They’re perfect for the chef who wants to create healthy dishes with unique, rich flavors. They’re the seeds that keep us connected. Hybrids certainly have their charm but when you’re selecting seeds this year consider adding a few heirlooms to your garden. Whether it’s for their flavor, charm, or usefulness we know you’ll fall in love.